Rethinking Schools is co-coordinator (along with Teaching for Change) of the Zinn Education Project and the majority of lessons on this website originate in Rethinking Schools publications. Launched in 1986, Rethinking Schools is a nonprofit publisher working for equity and justice in public schools and the broader society. The latest issue the Rethinking Schools magazine and new Rethinking Schools books are featured below. 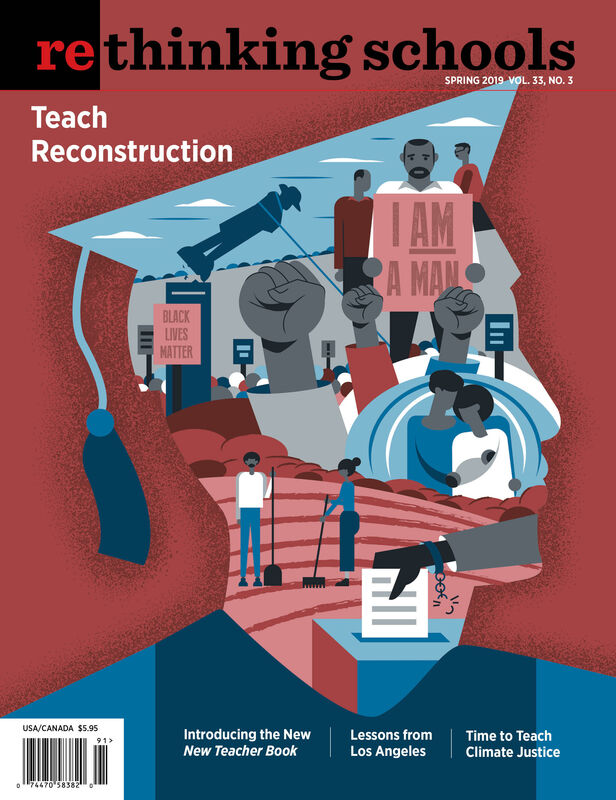 Articles include “Why We Should Teach Reconstruction,” “40 Acres and a Mule: Role-playing what Reconstruction could have been,” “Our House Is on Fire — Time to Teach Climate Justice,” “How Should We Sing Happy Birthday? Reconsidering classroom birthday celebrations,” “Women of the Day,” “‘Billionaires Can’t Teach Our Kids’: Why the Los Angeles teachers’ strike was historic,” and more. 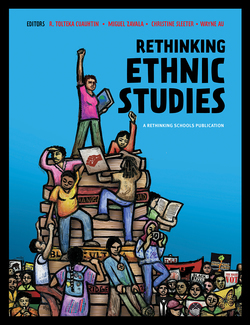 As part of a growing nationwide movement to bring Ethnic Studies into K–12 classrooms, Rethinking Ethnic Studies brings together many of the leading teachers, activists, and scholars in this movement to offer examples of Ethnic Studies frameworks, classroom practices, and organizing at the school, district, and statewide levels. This expanded third edition of The New Teacher Book grew out of Rethinking Schools workshops with early career teachers. 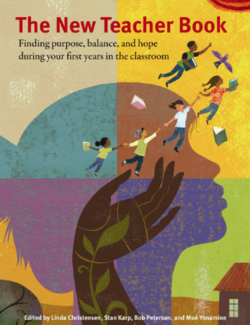 It offers practical guidance on how to flourish in schools and classrooms and connect in meaningful ways with students and families from all cultures and backgrounds. 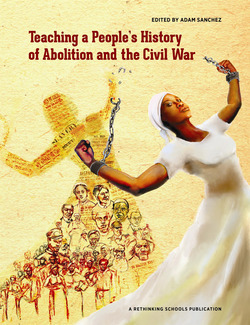 Teaching a People’s History of Abolition and the Civil War is a collection of 10 classroom-tested lessons on one of the most transformative periods in U.S. history. These lessons encourage students to take a critical look at the popular narrative that centers Abraham Lincoln as the Great Emancipator and ignores the resistance of abolitionists and enslaved people. The collection aims to help students understand how ordinary citizens — with ideas that seem radical and idealistic — can challenge unjust laws, take action together, pressure politicians to act, and fundamentally change society. Rethinking Schools offers a series of books providing practical examples of how to integrate social justice education into social studies, history, language arts, and mathematics. They are used widely by new as well as veteran teachers and in teacher education programs. Every Rethinking Schools book grows out of diverse schools and classrooms throughout the country.